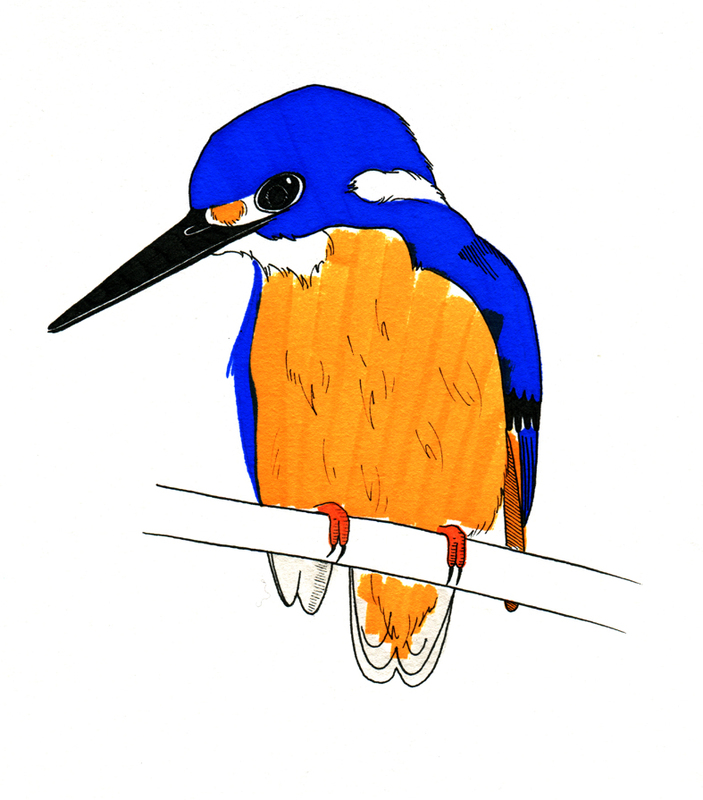 do kingfishers eat fish? i sure hope so. even better if they eat kingfish. the coolest thing i know about this guy is that he has white lores (the lore is the area between the eye and the nostrils on a bird [amongst other animals]). now this is pretty inconspicuous until he looks straight at you and BAM - double eyes! real eyes and ghost eyes. cool. as are his fluoro feet.